MS Dhoni The Untold Story Trailer Released. : The Team MS Dhoni The Untold Story launched the trailer of the movie in a very different way. The Trailer of the movie has been launched on such a big scale and biggest of its kind in the history of Bollywood. 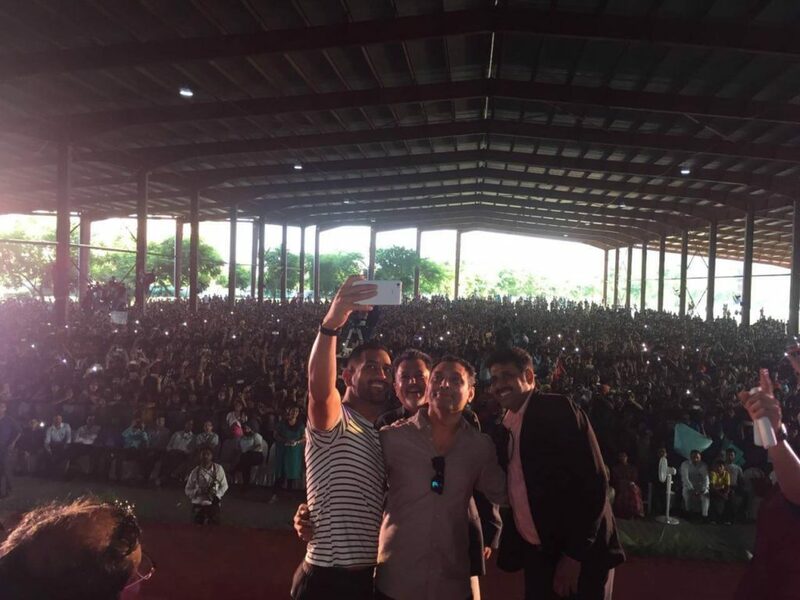 The movie was revealed in front of 35,000 people at Lovely Professional University LPU in Jalandhar, Punjab. The trailer was launched by the captain cool, Mahendra Singh Dhoni while Producer Arun Pandey, CEO of Fox Star Studio Mr. Vijay Singh were also present at the launch along with the lead actors. The trailer got a positive response from the people present at the launch that all fans going went out crazy when the trailer was played for the first time. 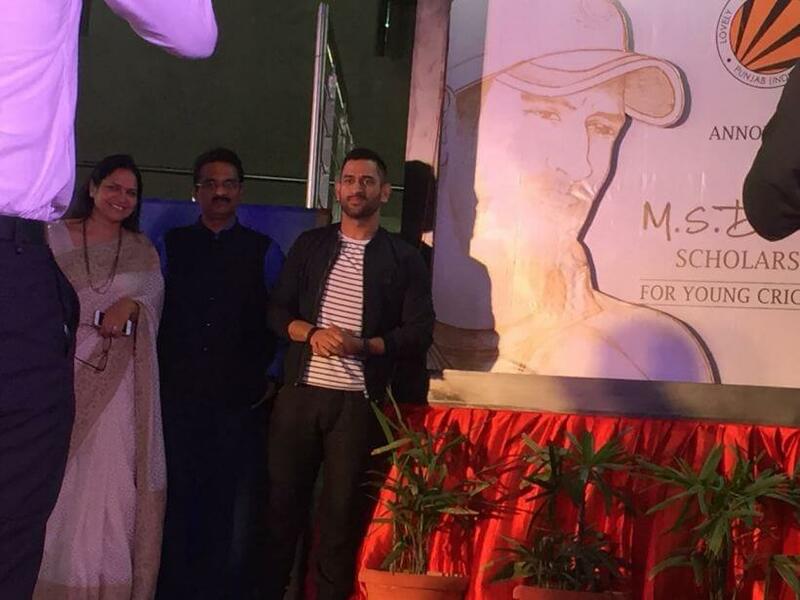 Along with the launch of the trailer, Dhoni interacted with the students a little. Dhoni loved the and saw it once again at the venue (LPU). He also mentioned that he recollected several memories from his old day and his journey from Mahendra Singh to “The Captain Cool” while watching the trailer. When Dhoni was asked to show his famous helicopter shot by a student, he didn’t deny and he happily obliged and the crowd went crazy all over again. MS Dhoni The Untold Story will release on September 30th, 2016. MS Dhoni The Untold Story is a biopic based on Indian national Cricket Team Captain, Dhoni. The movie shows an inspiring journey from a TT to the world’s best captain. The movie is directed by Neeraj Pandey, produced by Arun Pandey and Fox Star studios. Sushant Singh Rajput plays the leading role as Dhoni while Kiara Advani as Sakshi Dhoni and Anupam Kher play Pan Singh.The movie MS Dhoni The Untold Story is one of the most awaited films of the year and will release on September 30th, 2016.